"We had about 50 racers last year and close to 50 vendors, and sold out of vendor space!" she said. "The first two years, the event took place in May - and we made the decision to change it to February to attract more racers. And boy, did that work. We had well over 100 racers this year! 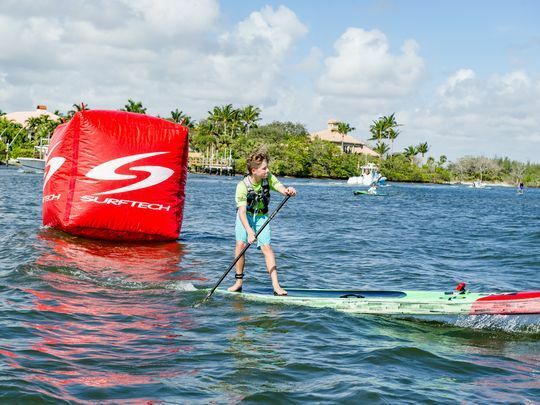 “Having the Palm Beach Paddlefest right in our backyard is a blast and seeing so many paddlers young and old is great," he said. "The course this year was perfect for this venue. It was 5 miles and 2 1/2 laps around two islands in a figure eight. I always like lap courses because it's spectator friendly and they get to see the race happen. "It also energizes all the racers as they come by and hear the cheers from family and friends. 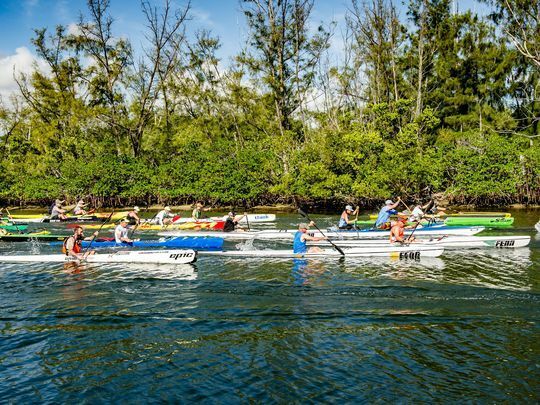 We need more races just like this in great venues and also on the beach going in and out of the surf," he said. “We did it for exercise and fun. 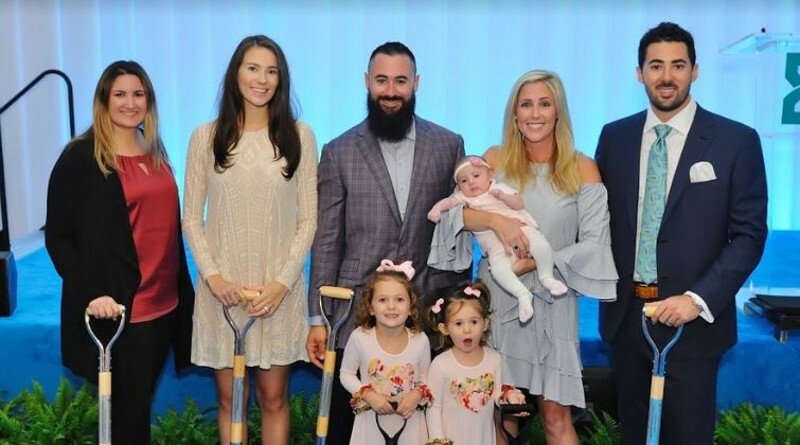 Over the years, we have become part of an amazing community," she said. "Stephen and I have made so many friends and have multiple sponsors that support us. We have now been married for about 1.5 years and have a baby on the way. Stephen is ramping up his training since this will be the last season he can race so much for a while — and I am slowing down as the pregnancy progresses." 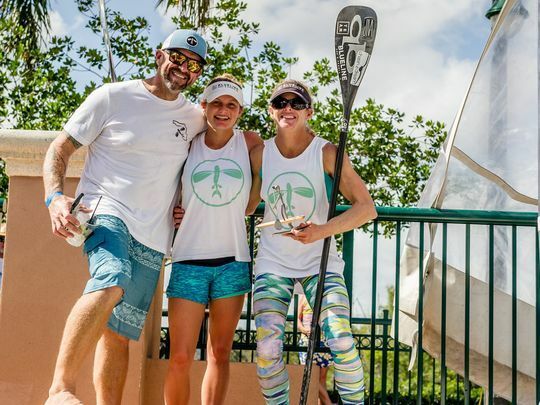 "Palm Beach Paddlefest was a fun and well-run race again this year," she said. "They changed up the course, which made for a welcomed change. 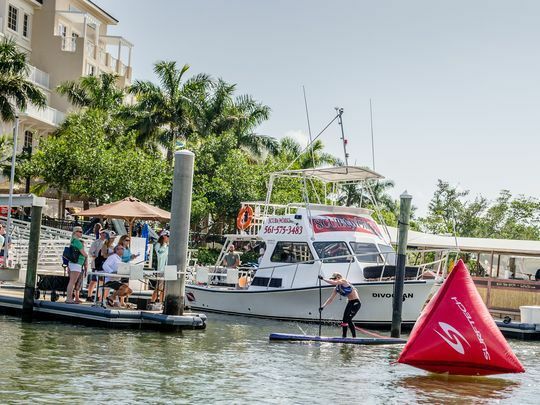 We made more passes by Harbourside Place and the spectators were able to be more involved. 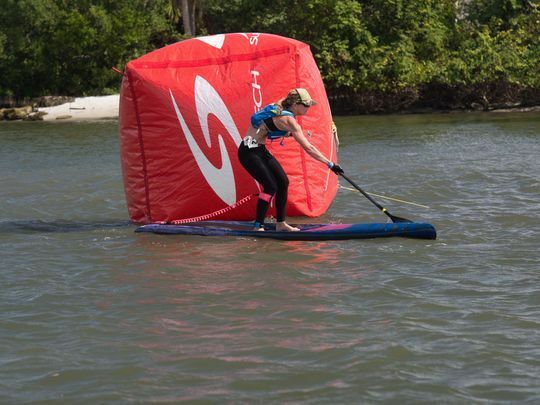 “One of my surfing buddies mentioned that I should compete in Blueline’s Summer Race Series because there were not a lot of girls competing and I might win something," she said. 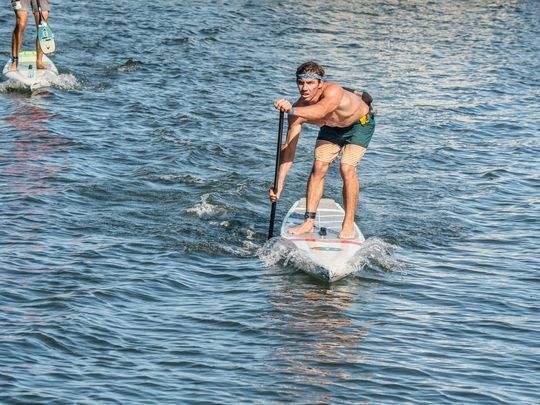 "This is true; by competing leisurely, I won: a paddle, a book, so many shirts, stickers, hats, koozies, keychains, trophies, some money and a few local sponsorships. 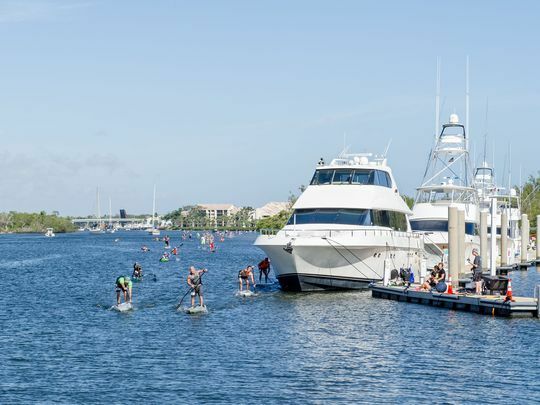 This was my first time attending an event hosted by Harbourside Place, and I thought it was well-organized. "I think more time should be allotted for the awards ceremony, but otherwise, everything ran smoothly and relatively on time," she said. 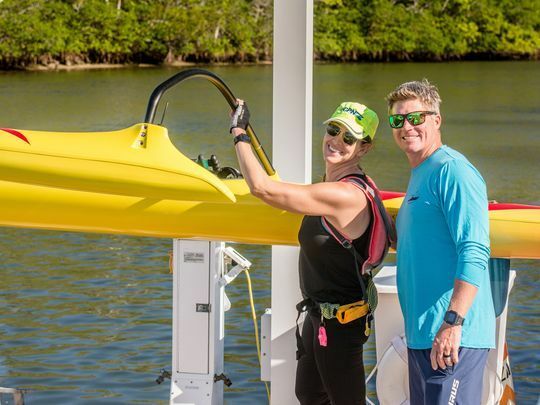 "As a Blueline instructor and guide, these waterways are my home," according to Allen. 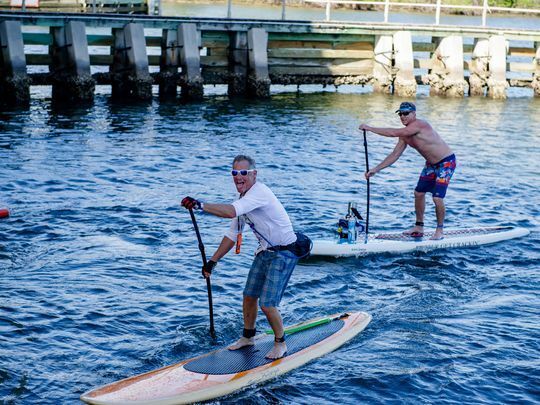 "The guys at Blueline Surf and Paddle spent a lot of time working on this course - and I think they did a great job!